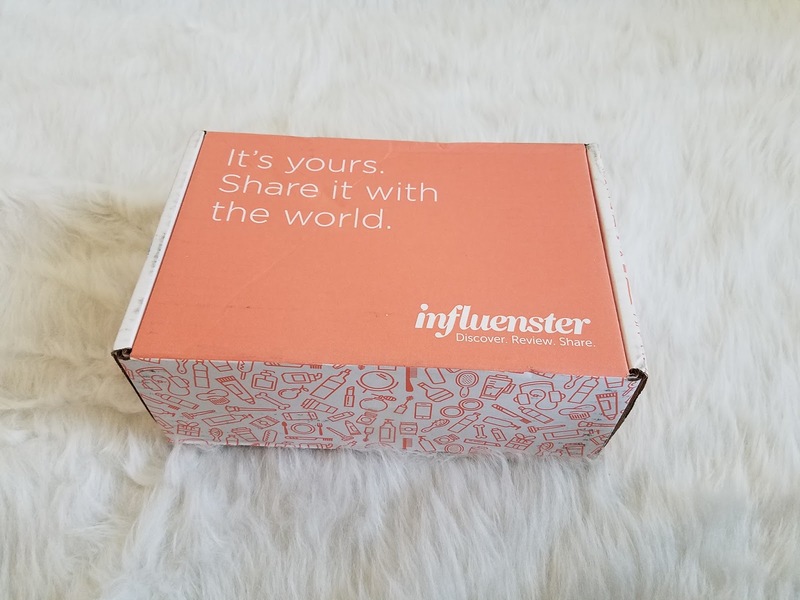 Influenster is an online community that connects products to social media users. They send free curated boxes to influencers to test and review products and share their honest opinions. I heard about influenster through other Instagram users and thought I’d try signing up and see what it’s all about. 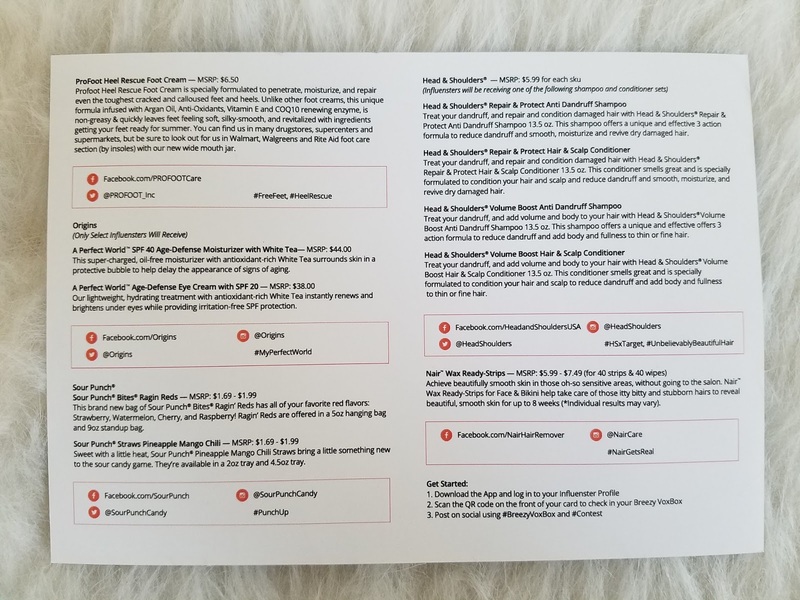 You connect all your social media accounts to your Influenster account and complete your profile and a bunch of surveys and questionaires. They say that the more involved you are the bigger chance of receiving a box. I blog and post frequently on Instagram about my lifestyle, travel, and fashion but my social media reach is not that big compared to most bloggers. I answered a few snaps (surveys) and wrote 2 reviews on their website and left it at that. Because I was busy I didn’t invest much time into my account and thought I would focus on it later. I initially received an email a few weeks later that I was on the waitlist for a ___ box and to fill out a pre-survey by the deadline. Unfortunately by the time I saw the email the deadline passed already. To my surprise, a month later, I received another email that I was pre-selected again so I promptly filled out the pre-survey and still didn’t think my chances were high. 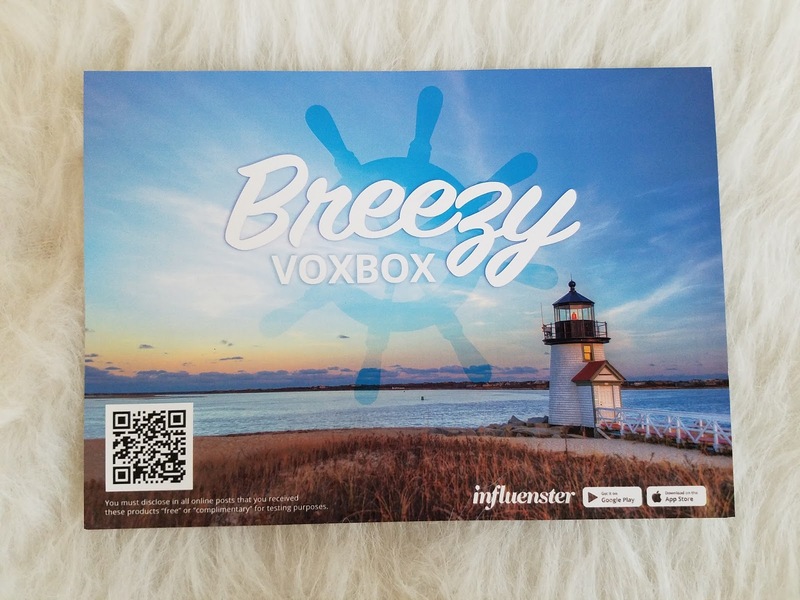 To my surprise, I got an email that I would be receiving the Breezy VoxBox! As I looked more into it, it seems to me they send out thousands of these boxes and you don’t have to be some popular blogger to receive a box. It seems as long as you have an account with some reach and willing to share your box contents you may randomly get to receive a box. It’s a great marketing idea for products to get their product out there and get free reviews from a diverse population. Who wouldn’t want to get a box of free products in exchange for a honest review? Inside my Breezy VoxBox they included a postcard with all the details of the items in your box. I received 5 full sized products and one sample in my Breezy VoxBox. Some boxes also received a sample size of Origins “A Perfect World SPF 40 Age-Defense Mosturizer with White Tea and “A Perfect World Age-Defense Eye Cream with SPF 20”. Only selected Influensters received these samples and unfortunately I was not one of them. I’m sure it would have been my favorite item in the box to test out if I had received it since I enjoy trying new beauty and skincare products. 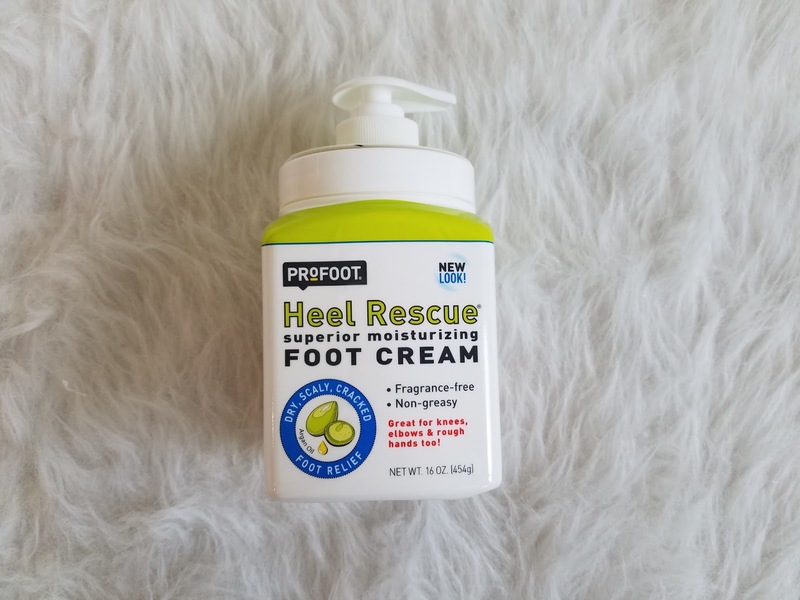 ProFoot Heel Rescue Foot Cream is specially formulated to penetrate, moisturize, and repair even the toughest cracked and calloused feet and heels. Unlike other foot creams, this unique formula infused with Argan Oil, Anti-Oxidants, Vitamin E and COQ10 renewing enzyme, is non-greasy & quickly leaves feet feeling soft, silky-smooth, and revitalized. I actually needed to get something like this. My husband has areas with tough skin on his feet from walking a lot, and I think this would help soften them up again. We just started using it and we already notice an improvement. There is no scent and doesn’t feel greasy. 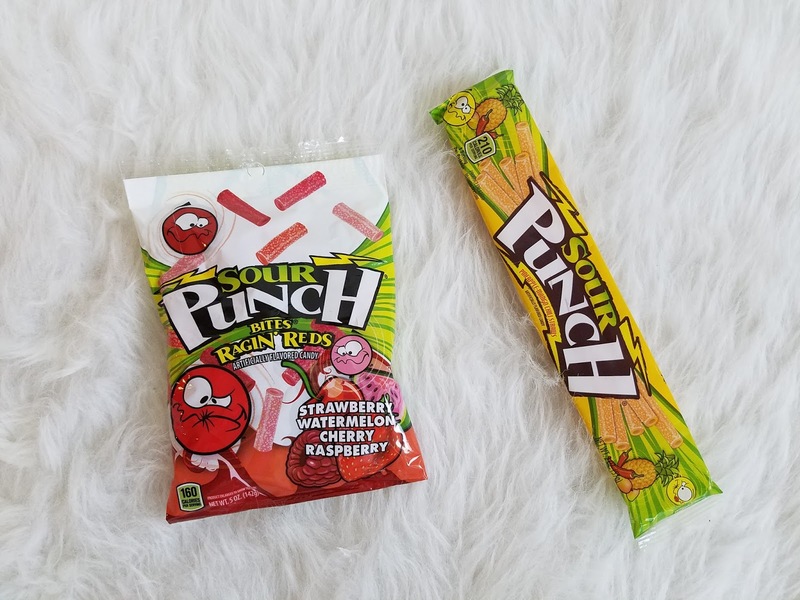 This brand new bag of Sour Punch Bites Ragin’ Reds has all your favorite red flavors: Strawberry, Watermelon, Cherry, and Raspberry! The Sour Punch Pineapple Mango Chili Straws is sweet with a little heat. Was surprised to be receiving candy in the box but no complaints here. I haven’t had sour punch in a long time to it was fun to try these new flavors. The Ragin Reds are perfect for those who love red flavored fruits. They were short bite sized pieces with a bigger hole through the center. I didn’t really taste much flavor in the Pineapple Mango Chili straws but they did seem a bit spicy because of the chili. Repair & Protect Anti Dandruff Shampoo and Conditioner – This shampoo and conditioner offers a unique and effective 3 action formula to reduce dandruff and smooth, moisturize and revive dry damaged hair. Volume Boost Anti Dandruff Shampoo and Conditioner – This shampoo and conditioner offers a unique and effective offers 3 action formula to reduce dandruff and add body and fullness to thin or fine hair. For each box you could have received the Repair & Protect or Volume Boost. I got the first one, which may have been because of the survey I took (I don’t remember the questions). I prefer this one because I have damaged hair from always using heating tools on it. 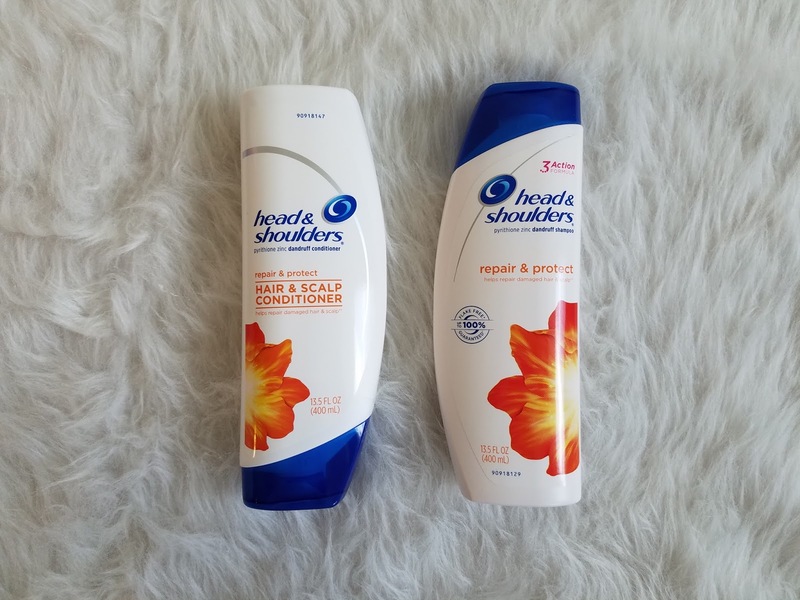 I’ve used the Head & Shoulder brand before too to combat dandruff. This one I received also smells very nice. 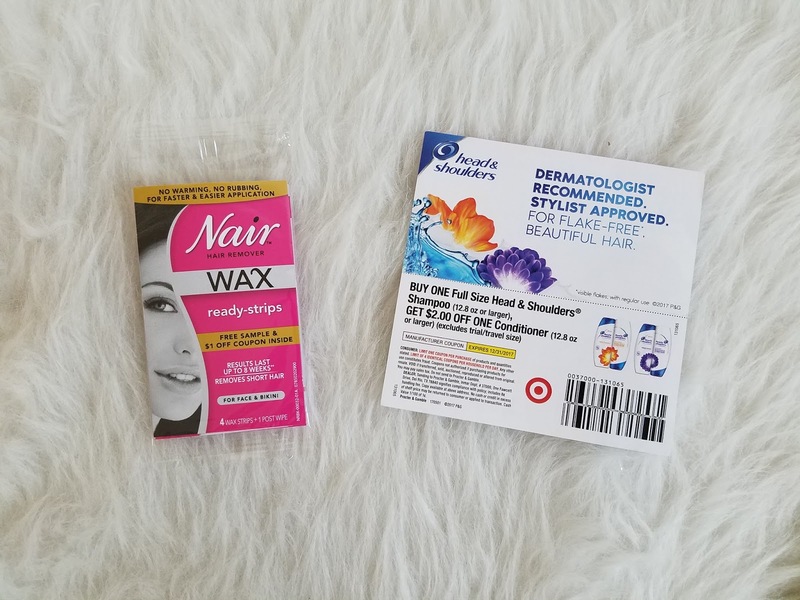 Nair Wax Ready-Strips for Face & Bikini help take care of those itty bitty and stubborn hairs to reveal beautiful, smooth skin for up to 8 weeks. The box came with one sample strip. I will be saving it to use in a few weeks when I go to the beach. Will update with my results then. I’m happy to be selected and receive my first VoxBox and hope they will send me more in the future. I received it for free to review but all opinions are my own.